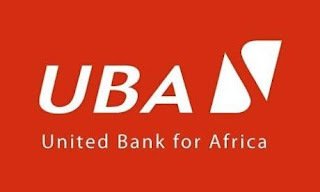 Here at UBA, each person's contribution is valued and is important to the overall vision of the company. Your career growth 13 of utmost importance to us, that’s why you deserve more than a job. You deserve a tube. Working In UBA admits you into our tribe. You will do the work that you love, one that matters to you and Will be involved In cross functional projects across all our geographies. You become a part of the culture built and nurtured on values, resilience and dedication, a culture that make us a role model for African businesses. If yes. we are on the hunt for customer oriented, detailed, result driven and technology savvy young minds who are dynamic and passionate about learning from field experts, to be part of the UBA tribe. There is a space for you 'n the UBA tribe, Join us now'! PLEASE NOTE THAT NABTEB QUALIFICATIONS ARE NOT ACCEPTED.